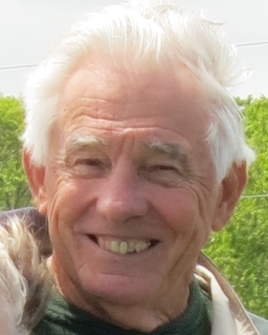 Wayne Oxender passed away February 2, 2019 surrounded by his loving family. Wayne graduated from Michigan State University in 1976 as a doctor of veterinary medicine. Following that degree he completed his work toward a PH.D. He was on the faculty of MSU from 1968-80 where he held several positions. In 1980 he moved to North Carolina State University to found a new veterinary college where he became head of the large animal clinical department. He retired as professor emeritus from NCSU in December, 2000. In his retirement at Heritage Palms Golf and Country Club he became a dedicated golfer with his beloved Quota group. He also enjoyed bicycling and traveling with his wife, Rita. Wayne is survived by his wife, Rita; a sister Joan (Jim) Lindsley; a brother Glenn (Dianne) Oxender; his children Barbara (Bill) Saar; Belinda (Tom) Wietor; Bethany (Mike) Reid and Tom (Laurie) Oxender; grandchildren Tommy Wietor, Katey Wietor, Lauren Reid, Robbie Reid, Natasha Kimmerly, Kayla Howe, Dylan Oxender and Taylor Oxender; great-grandchildren Henry Kimmerly and George Kimmerly. He was preceded in death by his parents; his first wife, Joan and two brothers, Dale and Vernon.